For pianists in their first years of study, this extensive collection of popular sheet music guarantees unlimited enjoyment. 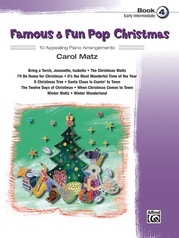 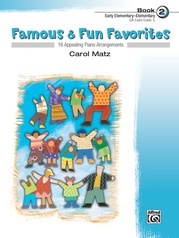 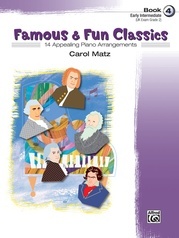 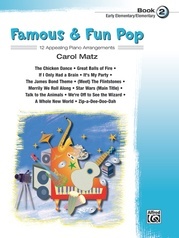 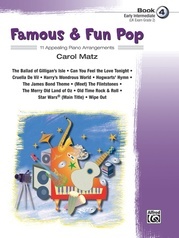 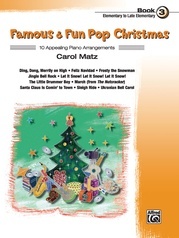 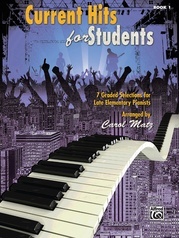 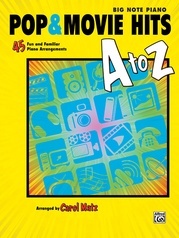 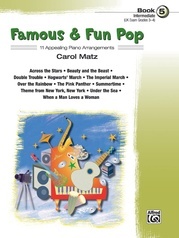 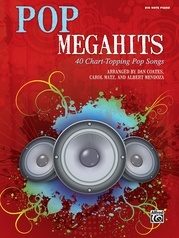 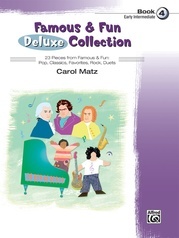 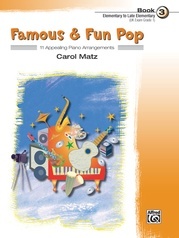 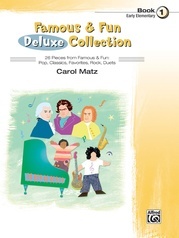 32 of today's hottest hits are made fun to play with simplified, easy-to-read arrangements by acclaimed piano educator and arranger Carol Matz. 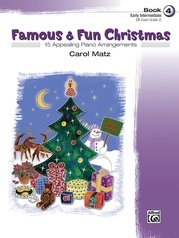 Complete lyrics are included; and the vocal melody is incorporated into each piano part, so the arrangements sound great either as piano solos or for singing along. 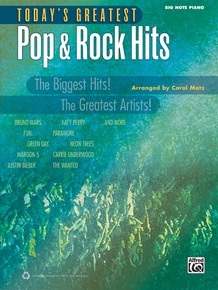 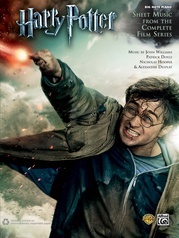 Titles: 21 Guns (Green Day) * All-American Girl (Carrie Underwood) * Baby (Justin Bieber) * The Big Bang Theory (Main Title Theme) * Billionaire (Travie McCoy featuring Bruno Mars) * Born to Be Somebody (Justin Bieber) * Boyfriend (Justin Bieber) * California Gurls (Katy Perry) * Cough Syrup (Young the Giant) * Don't Stop Believin' (from Rock of Ages) * Everybody Talks (Neon Trees) * Firework (Katy Perry) * Forget You (Cee Lo Green) * Glad You Came (The Wanted) * Grenade (Bruno Mars) * Haven't Met You Yet (Michael Bublé) * Hey There Delilah (Plain White T's) * If I Die Young (The Band Perry) * Jar of Hearts (Christina Perri) * Just the Way You Are (Amazing) (Bruno Mars) * Let Me Be Your Star (from SMASH) * Love You Like a Love Song (Selena Gomez & The Scene) * Need You Now (Lady Antebellum) * Not Like the Movies (Katy Perry) * Not Over You (Gavin DeGraw) * The Only Exception (Paramore) * Payphone (Maroon 5) * Secondhand White Baby Grand (from SMASH) * The Story (Brandi Carlile) * Tongue Tied (Grouplove) * We Are Young (fun.) 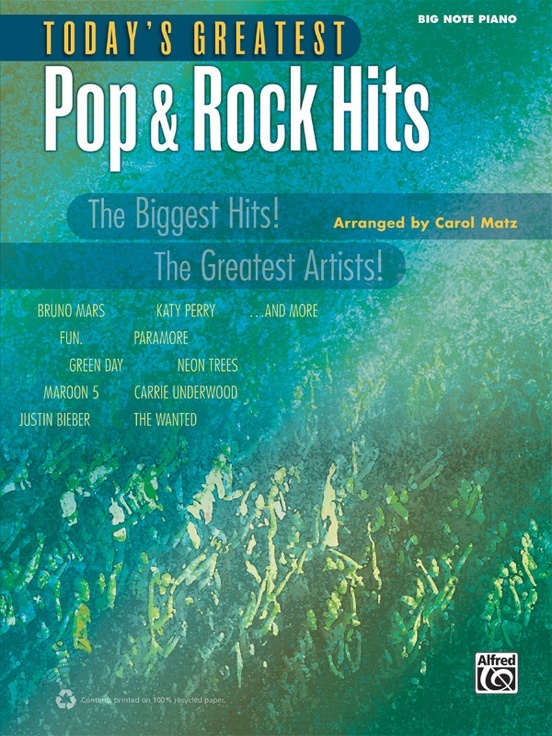 * Wide Awake (Katy Perry).